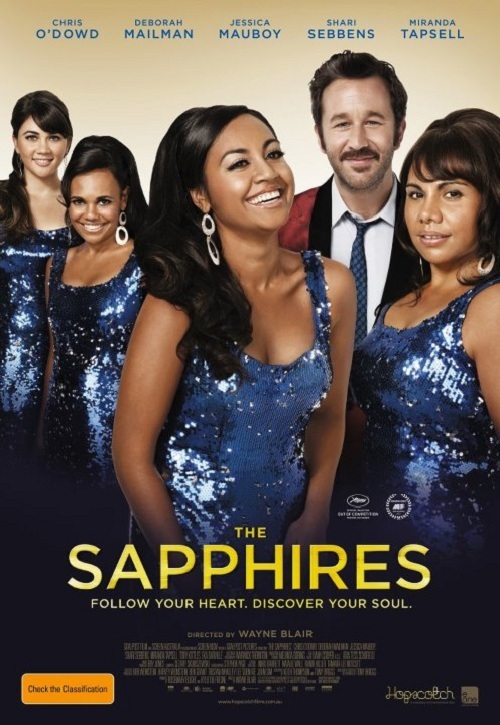 The Sapphires is an inspirational and heart-warming film which follows the lives of four talented Aboriginal women living in the late 60s, who believe they are destined for more in life. Gail (Deborah Mailman), Cynthia (Miranda Tapsell) and Julie (Jessica Mauboy) try their luck at entering a singing competition, and while they don't succeed in the competition, they meet Dave (Chris O'Dowd); the local drunk who works at the pub. While Dave believes the girls are talented and could become something special, he tries to convince them that singing Country-Western songs isn't going to make them famous. Soul on the other hand, is the golden ticket in the music industry. That's where Dave comes in. He scores the girls an audition in Melbourne to sing for American troops in Vietnam. Julie isn't allowed to come as her parents think she's too young, so the girls look up their other cousin Kay (Shari Sebbens) in hopes that she'll join them. Of course Julie ends up in Melbourne, along with Kay, ensuring that their group is now formed. Once in Vietnam, the girls are surrounded by the heartache and damage that the war is creating around them. Dave teaches the girls the miracle of soul and helps them bring out their 'sexier' side for the American troops. The girls play an important role to the troops, ensuring that they can find some comfort and relief and hopefully forget about the war that's going on around them. The girls realise that not only are they helping to soothe the souls of the American troops, but they're helping each other become the people they were always meant to become. The beauty of this film is how well the cast work together, almost as if they already were a family. Deborah Mailman, Miranda Tapsell, Jessica Mauboy and Shari Sebbens bring a buffet of laughs, tears, love and friendship throughout the film. They each do a superb job at bringing the audience along for their inspirational and spirited journey. You feel what they're feeling and you grow as their character grows. 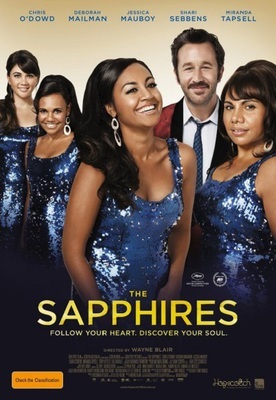 The Sapphires wouldn't be the same without the infamous Irish stud, Chris O'Dowd. He brings the perfect balance of comedy. Just when you think you're about to cry, he'll subtly change the setting and you'll find yourself crying, but from laughter, not sadness. He's a genuine lad that you can't help but smile at. The Sapphires is a true Australian gem that you wouldn't want to miss. Follow your dreams, you might be surprised where they take you. Where: Check with local cinema. Cost: Check with local cinema.